As much as I love the idea of reading, I wouldn’t call myself a reader. I find it kind of hard to sit still and focus for more than 20 minutes or so at a time. I’d much rather read a fiction book with a great plot, watch a documentary or listen to a pregnancy podcast than devote a few hours (days?) to reading a non-fiction book from cover to cover. However, I also want to sponge it up with information before the baby comes, as I’ve heard that once he is here I won’t have time for reading! Many moms have told me to read the books now – even the ones about the months beyond newbornhood. The following are books that I have in my possession that were recommended to me to read. Honestly, I’ve only read half of Ina May – and I haven’t touched the rest! I only have one trimester left, so I better get going. I’d love to hear your thoughts on these books and others you found invaluable during your parenthood education (or lack there of!) There are SO many books to choose from out there, and so many different views on the subject. What should I read and what is better to brush up on but not pour into? LOVE this book. Ina May totally boosted my confidence in my body. Every pregnant woman should read it. So much good mental stuff plus lots of great physical information too in the second half. I’m packing this in my hospital bag for some read-aloud motivation! I have heard this is the best of the best when it comes to understanding breastfeeding. I listened to this podcast and this book was recommended. The information in the podcast was incredibly informative, and I imagine the book will be too. I wanted to read a book on natural childbirth, so this was the one I chose (in addition to Ina May). I haven’t even cracked it open, and I’m not sure how it will apply to our situation since we haven’t taken Bradley classes. I imagine I’ll focus on the techniques and skim the rest. I’ve heard tons of women recommend this. I also have the DVD to watch! A friend recommended this to me. It’s written by a doctor and she said it was a great middle-of-the-road, informative read. This was recommended by the same child development counselor as the ultimate “food rules” book for parenting. What I know about its contents makes a lot of sense to me [see this post for more info]. I should read it now…but will probably save it for solid food introduction era. Being a mom of a four year-old and mommy-to-be, I do not have the time to read. When I do have time, I do not really want to be reading, because there are other things to be done. I will even go to the library, check-out a book or two, and never get to read it. Or… I will start to read a little bit of the book, and never finish it. I wish I had it in me to read more, or more time to read. I have the Happiest Baby on the Block DVD to watch, Baby Wise and Secrets of the Baby Whisperer. I have heard, I think Baby Wise, was somewhat of a controversial book and that not everyone agrees with everything in the book (which is bound to happen obviously) but I plan on reading them all and then taking bits and pieces that I think will work for us from each book to hopefully have a baby who sleeps well and is on somewhat of a schedule! I’ve heard that’s worked for a lot of people. I haven’t touched or read any of the books yet haha I should really get going since I’m 30 weeks now!! I honestly don’t know what I’m waiting for. The other book I personally found to be very helpful was Healthy Sleep Habits, Happy Child. Good luck with reading, I agree its tough ahead of time, but you’ll be happy you did it. I didn’t ready before hand with my first and was frantically going through the bigs once the baby was here trying to get helpful tips and solutions. My sister and I both read the Bradley Book before our labors. You can skip this up front stuff about diet, etc. and jump into the ‘what happens during labor’ bit. The illustrations and descriptions of the emotional and physical stages was great preparation for me and my husband because we weren’t surprised as we experienced those things. I especially liked the depiction of the muscles of the uterus as bands North-South working to squeeze the baby out. It gave me a visual during labor of those contractions doing something productive. Also, since the coginitive ability of a women in labor is pretty low (the oxytocin makes you feel a bit buzzy) it is wonderful to have a fully-functioning Dad there to remind you about what is happening. When I went into transition I looked my husband in the eye and said, “I’m scared.” He said, “that’s great! that means we’re almost done!” and encouraged me and reminded me what I had leared about that next to the last emotional phase. My husband and I also did the perineal massage together in the weeks leading up to labor, which, if nothing else, gave me a preview of that burning feeling when the head is crowning so I didn’t panic and was able to continue relaxing. In sum: at least look at the pictures in the B book and have Dad do the same! Totally agree with Bridget’s recommendation. Of all the books, Please read the Bradley book! 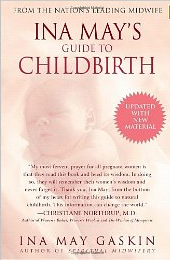 I read Natural Childbirth too (I recommended it earlier on a blog). Focus on the stages of labor and relaxation techniques. You’ll want hubs to read it to, and maybe even more so because you’ll forget everything when the time comes. DEFINITELY can’t underscore the perineal massage, which I didn’t do enough of. It will prepare that tissue to stretch and NOT tear. I agree with the previous posters! In addition, a great book for the hubs to read is, “Husband-coached childbirth.” It’s all Bradley all the time, but written to the daddy. My husband got a lot out of it and felt really prepared going into the natural labor/delivery of each of our daughters. He never felt helpless like, “My wife’s doing all the work…what is there for me to do?” but always kept busy with counter pressure, massage, encouragement–whatever I needed. That book helped him get to that point. He was my doula! And know that no matter how many books you read, your little guy is going to find a way to defy some of the plans/strategies you’ve put forth. Be as knowledgeable as possible, but be open to modifications—especially in those first few months. It’ll make you a much less-stressed mama. I’d recommend tossing that one out. From the Amazon description it looks like it tries to make a causal link autism with vaccines. The ONE study that found a link was based on fraudulent data and rectracted by the journal it was published in as well as most of the authors. Just because someone’s a doctor doesn’t mean he or she can’t be wrong. “Middle-of-the-road” is not a good approach when one side is clearly wrong. I have to agree with this, toss it! I’m an advocate for vaccinations, not just to keep my children healthy, but also those they are around. Just an opinion, and no want or need for debate ;). Well I haven’t done ANY research yet, but delaying for the sake of baby’s well-being is still vaccinating for the sake of other babies well-beings, right? I’m not talking delaying 5 years, but just spacing out instead of clustering (again, all I know is rumors from other moms – no research yet). Is spacing really putting others at risk? Considering your baby’s first six months will run through the fall and winter, I think it’s really unwise to delay vaccinations. There have been no proven benefits to waiting. Anywhere. What is the benefit to spacing them out? Does it outweigh the risk of your baby getting something dangerous? Like the previous poster said, there is no middle of the road, when one side is wrong. I think, not positive on this though, that it is difficult to space them out because so many vaccinations are mixed. I thought I wanted to space them out as well but ended up going with the schedule the doctor advised. The shots are hard enough on my baby and I didn’t want to repeat the process more often when, in the end, she is going to be fully vaccinated anyways. And since there have been outbreaks of diseases like wooping cough (pertussis) and measles in Charlottesville last year due to children not being vaccinated (http://cvillenews.com/2011/05/26/measles-outbreak/), delaying vaccines could really be dangerous for your baby. Have you chosen a pediatrician yet? Because if you talk about it with your pediatrician, they know the recommended “range” of when each vaccine should be administered and the risks associated with not being vaccinated. They also know what illnesses are common in your area, and which are highly unusual. When you say “delay,” I think you should really talk about it with a doctor, who can really try to figure out what is best for you and baby. My pediatrician in town spaces the vaccines out more in the first year, but we ended up seeing him over MANY more visits, which was fine with me. But my 14 month old has all her shots that everyone else has…just administered over more visits. Talking with your ped or fp is defiantly the first step. We delay a few vaccines and space some out, but we came to that decision after tons of research and a lot of conversations with our doctor. Yes! I agree with this. Our pediatrician will not treat patients who don’t vaccinate and they don’t offer delayed vaccination schedule. This is something that you can ask at your prenatal consult. If you are interested in delaying vaccinations, it might limit your choices of pediatricians in the area. Sorry, I have nothing to do with vaccines, but I am in public health and this drives me nuts. I’d reccommend watching “The Vaccine War” done by PBS/Frontline – there has been a lot of loud traction in the non-vax/delay vax community thanks to the ultimately false/disproven link to autism and other scares and this helps to balance out all the information. It’s not terribly long to watch (can watch it online), fascinating, and really helps put all those vaccination scare tactics in place. I felt even more confident about my decisions to vaccinate properly – not only for my child but for the safety of other children and not-able-to-be vaccinated adults (an oft forgotten segment of the population) – after watching this program. I think you also mentioned the book “Raising your Spirited Child” and I definitely recommend it. I found it to be good and insightful and helped me to accept my kids the way they are… and not compare them to the way I thought they were going to be! I found it helpful to have some knowledge from book-learnin’, but I haven’t followed only one book’s recommendations – I kind of followed the “pick and choose” line of parenting. My kids are different that everyone else and I’m a different parent than everyone else, so I try to follow my gut and my heart more than anything. I would actually say that, for the most part,breastfeeding IS very natural! It wasn’t at first and it did take some getting used to, but after the first few days it felt very natural! And dare I say… EASY! Pumping feels very unnatural and is even more painful than breastfeeding for me! I think it just takes a little patience, but (for me) it did come naturally with very little guidance (I did take a breast feeding class, but I didn’t ‘study’ the different latches/techniques, etc). I did have to ‘learn’ how to tell the difference between my flow being to slow vs too fast and that took a little googling. Overall, I feel that motherhood has been 75-80% natural, the other 20-25% I learned from google (Using valid websites and taking the ‘chat room jibberish’ for a grain of salt)! I didn’t read any parenting books, mostly because I ran out of time and its hard for me to sit and read as well! I’m actually surprised at how ‘natural’ motherhood has been as I was very scared that ‘the motherly instinct’ wouldn’t kick in and I would be lost! I’ve seen articles giving instructions on how to hold your baby and specific instructions on how to change a diaper, but I kind of think this stuff is silly because IT WILL COME NATURALLY (IMO). I did read Dr. Sear’s vaccination book and I’ve really enjoyed it. I can’t say I feel confident in my vaccination choices, but I do feel well informed! I don’t know that I could ever feel 100% confident either way because there are so many pros and cons! I like that he went through each vaccine and gave pros and cons, ingredients, brand options, statistics, and he offers a variety of vaccination schedules to meet many different comfort levels. I feel educated enough to discuss things with my pediatrician and to make my own choices for what I feel is best for baby Brantley. Are you planning on writing a post on vaccinations? Its such a heated debate on both sides!! I read The Womanly Art of Breastfeeding and didn’t honestly find it that helpful for ‘troubleshooting’. It does make a great case for breastfeeding though. Happiest baby on the block was a lifesaver for us. It is practical information that really works and it’s easy to do. I’d suggest skipping the book and watching the 20 minute DVD version instead though you can get it from the library or on Netflix. The baby (& toddler) 411 books were also really helpful to me. They are organized by topic so you can read cover to cover or just look up what you need to know. Lastly, and I know it is a controversial book, Babywise had some good components. I didn’t follow this approach wholesale but, as a first time mom, I did find the 3 hour schedule a good starting place and I really loved the idea of eat, play sleep to help avoid the trap of needing to fall asleep at the breast or bottle and instead helping them learn to fall asleep on their own. I think parenting books are like anything else, take what you can use, what works for your family & blow off the rest. I liked the 411 books too – it was easy to find what you were looking for and had a lot of useful “real life” suggestions. While it’s easy to become overwhelmed with conflicting information, I personally really appreciated having read lots of new parent books. I feel like arming yourself with as much knowledge about the “unknown” ahead of time, if nothing else, gives you a bit of confidence. I have found that there is a delicate balance that you will learn between the information you will learn by reading books and coupling that knowledge with your own intuition. By “intuition” I mean that you will get to know your son and what “he” needs, so as you go along, you will be able to apply the things you learn in these books in a way that will (hopefully) help you match with the needs of your son. You hear this over and over and over again, but every child truly is different and unique. Their temperament and personalities truly will ultimately influence the parenting style that works. Sleep is the one that gets us the most. 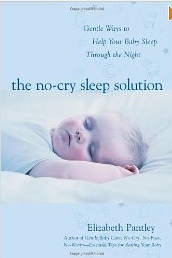 I’ve read the No Cry Sleep Solution and I really really liked it. I read this one mainly while nursing because there is plenty of time while you’re sitting and nursing 😉 By the time I read it, I think I was already (intuitively?) doing most of the suggestions in the book, so there wasn’t many things I “learned” BUT I think it gave me a bit of comfort and validation because of it. I would highly recommend Weissbluth’s “Healthy Sleepy Habits Happy Child” simply because it is highly science-based and I think that it is something that you will appreciate because of that. There is a lot of very useful information in that book which, even though I didn’t necessarily feel like I agreed with all of it, there was enough useful information that helped me apply to the needs of my son. In fact, I just pulled it out again to use it as a reference because it covers all the ages. Having a 12 month old, I’ve read all of these books. I would read Ina May, some BF books (LLL can be a bit intense — time and a lactation consultant are the best bits of help). We do the alternative vax schedule and I think vax books are insightful but they are also out of date and not really relevant immediately at birth (maybe they do hep b at birth in your state which we declined). Find a good ped — and interview a second! we met with the 1st who boldface lied to us about vaccines not being able to separated and all vax are combo shots. If he said ‘I don’t know’ or something of the sort, we probably would have stayed at that office but I was delighted to find someone more holistic since I think it’s important during the first few years to examine the whole picture of a child’s life. Happiest baby book is good – google the 5 s and maybe rent the video. Sleeping books are more helpful around 3 -5 months when your baby is showing signs of a pattern. We didn’t sleep train until 9 months – my baby just wasn’t ready and honestly, neither were we. Loved child of mine — more helpful around 6-7 months when baby was eating real food. Overall, I have been amazed with how intuitive having a child is. I STRESSED every detail and then our baby just made those changes on her own. She made her own predictable nap schedule, gravitated to solids and whole foods – we never used jar food since it was easy to fork mash what we were eating, she slept through the night (starting at 10 months), and showed me signs she was ready to wean a few weeks ago. Seriously, we just saw the signs of what she needed and just helped her with those milestones. I am still reading baby books, 3 months in with a new baby. I watched the Happiest Baby DVD but do have the book too. I had heard it’s a timesaver and better to watch the doctor show what he means for how to soothe. It works! I also just read Mayim Bialik’s Beyond the Sling, which I told you about. And for some humor, I just finished Confessions of a Scary Mommy. So hilarious, and based on a blog called Scary Mommy. In early pregnancy, I read Belly Laughs by Jenny McCarthy. And I also have Baby 411 for reference which was helpful in the beginning. And we are a Babywise family, but don’t think you’re doing that! I like reading other philosophies. And definitely agree you must go in with a strategy. I was surprised how I had time to read once the baby came. Nursing is a great time to read books! I definitely agree with the BabyWise recommendation. Despite the controversy and nay-sayers, it really is not an extremist position and their recommended routine truly does work. My kiddo slept 12 hours straight by 8 weeks. You need some general baby books on your list! None of what you’ve got there will give you the basics of raising a baby. I would recommend “Heading Home with Your Newborn: From Birth to Reality” – it’s not too long, which you would like, but it gives a great general overview of what you need to prepare for during the first few months, and not too political in either direction (AP or authoritarian). I’ve got mom friends who also really liked “Baby 411” which is a good reference guide. “Your Child’s Growing Mind: Brain Development and Learning From Birth to Adolescence” is also a fantastic book. The only pregnancy book that I found essential that you don’t have on the list is “Origins: How the Nine Months Before Birth Shape the Rest of Our Lives” which is about epigenetics, and how your diet and what do you to your body while you are pregnant will shape your child’s health for the rest of their life. I found it really important to read even before I got pregnant! “Happiest Baby On The Block” is good for the first few weeks, but it’s SO short and repetitive that you can just skim it to get the 5 “S’s” and you’ll be fine. I’ve heard the DVD can suffice as well. 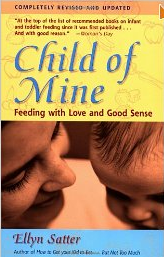 And “Child of Mine” is a great book, but you won’t be thinking about solids until at least 4-6 months after your baby’s born, and even then, “Child of Mine” is more about helping toddlers eat healthy, something way down the line for you! I vaccinated on schedule and didn’t feel the need to read anything about that. I also didn’t read any specific books on breastfeeding, I just scoured KellyMom.com, and I didn’t have any issues with breastfeeding. By my third trimester, I had already read a ton about labor and delivery, and had moved on solely to books on baby development and child rearing. Delivery and birth is only a day or two (if you’re lucky!) and raising your son will be the rest of your life! Ditto Baby 411. It’s nice to have something to turn to instead of Google. And the authors are NOT really biased about any parenting camp, which you can’t say about really any other book. They give overviews about lots of parenting books. I didn’t read much before baby came, but I read it and referenced it COUNTLESS times when troubles or questions arose. From a cough, to poop, and even about sleep. Probably skimming the breastfeeding book for now and then having it as a reference when you have specific issues is a good approach. In-person help, initially through lactation consultants at the hospital and then at La Leche League meetings or other breast-feeding peer support will really be key. For sleep, my pediatrician recommended “Healthy Sleep Habits, Happy Child” (Weissbluth), which I liked and wished I would have read sooner. I read the Dr. Sears book on vaccinations and liked the idea of a middle-of the-road, slightly delayed/more spaced-out vaccine schedule. When it actually came down to it, though, that made little practical sense. We’ve gone the traditional route, except that I delayed Hep B, thinking that he could get it in the preteen years. It turns out that it’s a requirement for kindergarten in Missouri (and most other states now). I really wish I’d known that ahead of time, and it’s something to keep in mind for anyone who’s considering an alternative vaccine schedule. I have to say that I had plenty of time to read while my first nursed. Sometimes they can nurse for quite a while and I read A LOT when my son was a newborn. And frankly, I watched WAY TOO MUCH TV. The nursing with the second was less relaxing as I had a toddler to run after at the same time. Ditto this – with my first, breastfeeding was relaxing/reading/TV time. I read tons of books during that time and it was during that process that I decided to become a vegetarian (due to reading and something about nursing my infant). It’s totally fine to want to read a lot now, as you never know how things will go, but don’t stress if you don’t finish everything. I’m 31 weeks with our second now and imagine that there will be a lot less time to read…. Babywise, How to Raise a Healthy Child in Spite of Your Doctor (not all anti-vaccination propaganda, it has some excellent points about a number of health issues even though it’s…dated), Womanly Art of Breastfeeding, and a number of others that my husband had from the birth of his first child (now my step-son). I love reading, and while these aren’t necessarily as easy to get through or as light as the fiction I normally prefer, they’ve been really worthwhile in helping me learn more about my pregnancy and give an idea of what I/we can expect. I don’t think any books can really prepare me for the terrifying reality of zero sleep, a crying baby that I can’t figure out how to calm, and the possibilty that I may not be able to breastfeed right away (these may not be terrifying thoughts for everyone but they scare the crap out of me, and are only the beginning), but I feel a bit better educated after having read them. I think reading (to learn) is like exercising or anything else that’s beneficial but doesn’t come naturally to everyone – it’s sometimes easier to force yourself to make it a priority and carve out time for it, even if it’s not what you’d LIKE to be doing. And I find I still absorb the information if I’m watching Vampire Diaries at the same time. A lot of libraries offer books on CD, so you might want to check if they have some parenting books available that way – then you could listen while you do other stuff. I was wondering what breastfeeding book you heard was a good one- I am still so nervous about it! ….I have the Ina May book and need to dive into that one here soon- as the day is fast approaching. I’ll also have to look into Happiest Baby on the Block— but I’m with you, I’d rather listen to podcasts and read fiction books! The only book I read on your list was “The Happiest Baby on the Block” and the 5 S’s were KEY for our family! Made our babies very happy indeed:) It seems like SO many moms in this blogworld spend a ton of time reading up and figuring out the whole birthing thing when honestly it’s everything AFTER that that is really truly important. (I mean honestly, kids on the playground aren’t asking each other if their mom had an epidural or they were born au natural in a jacuzzi tub) To me it seems like the bride that focuses solely on her wedding day and not the marriage….if that analogy makes any sence. (I’m not saying this is you at all…) Lots of the birth with be out of your control but the actual raising of your child is entirely IN your control. As both a mom and someone who has worked in education for 19 years (as a teacher and now a consultant) the parenting is what is important, the birth just gets them here:) it may go just as you plan and it may veer of course for safety reasons…. I think it’s different for each person, I had a single baby, then 2 years later had twins, I never read any parenting books. I didn’t nurse my first born, but I did nurse the twins. It just came natural to me. Good Luck to you! 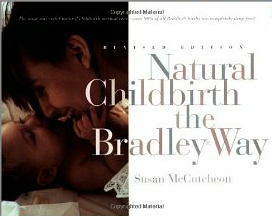 I do think if you’re planning a natural birth that Ina May’s guide as well as Spiritual Midwifery are great, insightful books if a little touchy-feely at times. I’m analytical and objective and sometimes prefer drier information. In my opinion, the book on the Bradley Method will be much more helpful if Matt is also planning to read it. Eat, Sleep, Poop is a great reference guide for the first year. The author is a pediatrician and a parent so gives some great perspective into the whole thing. I thought it was great as a first time parent. I would stop reading about childbirth and breastfeeding and read more about sleep- I wish I had! Breastfeeding is really hard and I think you should find a lactation consultant to have on speed dial, but reading about it is not particularly useful ( in my opinion)! I think a lot if parenting is intuition because my husband read nothing and he is doing a pretty darn good job! I highly recommend the book Baby 411. It’s a great reference guide, very readable and funny, and I wish I’d read it prior to my son being born. He is now 8 months and I still use it, though the sections on sleep and breastfeeding were the most useful in the first few weeks. I don’t totally agree with their stance on sleep (the book is very pro cry-it-out) but the information they provide is helpful nonetheless. I really like the No-cry Sleep Solution book, again even though I don’t agree that no crying is all that realistic, it presented some really valuable ideas. Jodi Mindell’s book, Sleeping Through the Night, has some good thoughts in it as well. Overall we’ve really struggled with sleep, I’ve read all the books and nothing has worked for us, but every baby is different. Happy reading! Yes!! Baby 411 is great! Happiest baby DVD is short, sweet and extremely helpful! Also for later down the road, a good eating/mealtime book is “How to get your kid to eat…but not too much” by Ellyn Satter. Thanks for sharing the link to the podcast on sleeping. I am still trying to get my 6-month old to sleep through the night and found the podcast very informative! Two funny (and, at times, quite frank) books I’d recommend: “Confessions of a Scary Mommy” by Jill Smokler and “Sippy Cups Are Not for Chardonnay” by Stefanie Wilder-Taylor. I’m not a mom, but I have several friends who are, and all of them have appreciated these funny books by moms who aren’t afraid to show that parenting is not about perfection. I didn’t read any of those book but I did read plenty of others. One I would suggest is The Birth Partner – it is one that both you and Matt should read. I have a 10 month old and I still find time to read – you just have to manage your time. Having a baby doesn’t mean your life is ending like so many moms act like it does. And Baby Makes Three – John Gottman – great book with exercises to do with your partner to prepare your relationship for adding a little one. In general a majority of couples experience a decline in marital satisfaction 2-3 years after they have kids, this books breaks out why this happens and how to work together better as a team. There is also a workshop you can attend that works through the books materials. I thought the book was great. Raising An Emotionally Intelligent Child – also John Gottman, just started it and find it useful. The No-Cry Sleep Solution was absolutely worthless with my baby. I read it before she was born and it all went out the window when she just didn’t fit into parameters set forth in this book. We ended up using the Sleepeasy Solution and it was a Godsend. I can’t recommend it enough! Also, it was quick enough for me to read in an afternoon because I only need to read the part that pertained to my child’s age at the time. We saw results within a week when my daughter was almost 7 months old and had been the worst napper (non-existent really) and night sleeper. I still have it on the shelf and refer to it often as her sleeping patterns change. Go get this book! Can you share what the major differences are between the two? The big difference was that of letting a baby cry or not letting them cry. My daughter cried…a LOT. Using a no cry sleep method was just impossible. With the NCSS I think that it said by 3 months your child should be nursing everything 3 hours…my daughter ate every two hours till about 5 months and even at that point we could really only stretch her to maybe 2.5 hours if we were lucky. So that didn’t work with us. With the Sleepeasy Solution you let the baby cry for 5 minutes, then you would go in and verbally soothe them, but not touch them. You don’t stay for more than 30 seconds. Then you let them cry for 10 minutes and check on them, verbally soothe, don’t stay for more than 30 seconds. You keep adding 5 minutes each time. I don’t think we ever had to go in more than two or three times. I felt that it was a nice balance between a cry it out and no cry method, which I think they actually might say in the book. I really felt that that No-Cry Sleep solution was very calculated and the Sleepeasy Solution was more of a guide. It gives sample schedule’s (one for each age group: 1-3 months, 3-6, etc.) that didn’t seem impossible…less calculated if you will. Another big part of the Sleepeasy Solution that was SO beneficial to me was the nighttime weaning part. That was one of our biggest hurdles to jump in getting our daughter to sleep through the night. I’d give a better breakdown if I had the two books with me, but I’m at work right now, so I tried to do my best! 🙂 Like I said, it’s a quick easy read…and at $10 you don’t have much to lose! Yeah, I would wait on reading/buying any sleep books until after you get through the first two months or so (since sleep training isn’t recommended for really young infants), so you can get a feel for the type of parent you are, and the temperament of your baby – those two things are the main determinants for if you want to go for cry-it-out or not (and I believe all sleep books fall into one camp or another, to varying degrees). And I’d second some of the posters above – you should definitely do a lot of reading now, but you’ll be stuck under a nursing baby for the majority of your waking hours the first few weeks and you’ll have a lot of time to read then! We did read the No Cry Sleep Solution, and it worked really well for us. As a matter of fact I give a copy of it to every family I know that is expecting. My breastfed son was going down for the evening at 7 p.m. waking at 11 p.m. for a feeding and then sleeping until 6 a.m. at 6 weeks. He is 5 years old now and he still sleeps a solid 12 hours per night (which the pediatrician loves). The thing with the NCSS is that you have to be willing to go the distance. My husband and I made sure our son was able to be home and in his bed (or traveling and in his play yard) by 7 NO MATTER WHAT. We had the same night time routine no matter what. You have to be very willing to adhere to the baby’s schedule instead of making the baby adhere to your’s. That is just my two cents worth. Being a good parent is definitely learned, but it comes with experience and advice from real people not from the books of people whose main intent is to make money. There is so much crap floating around out there. First time moms need to read the “theories” of child raising with a critical mind. I agree so much- the very best thing that you can do is to surround yourself with friends whose parenting you admire. Make sure they’re not all people with little kids, too- make friends with some older parents. We are incredibly fortunate for instance to know a mother of ten grown children- I trust what she says so much more than what the authors of any book say. People will also just offer baby advice pretty much everywhere you go. This annoys some new parents, but I love it. Sometimes people give you really good ideas. Sometimes people will give you really funny baby advice, like my neighbor who told me to put a glass of water under the crib if the baby was fussy. My son is almost seven months old now and I’ve had plenty of time for reading, too. I have read a lot of stuff aloud to him, which is one way to make time for it. Since he doesn’t know what we’re reading yet, it’s just as easy to read grown-up books aloud to him as Cat in the Hat. I’m in the same boat as you right now and I read Bringing of Bebe (because it was less of a parenting book, really short and more of an interesting/reporter-like take on parenting) and really liked it. I then moved onto The Baby Whisperer Solves all of your Problems and really like it, too (though it takes a chapter or two to get going). It seems it will be better as a reference depending on your baby type. I think reading/skimming them now and marking important parts or parts you like will be good so you can go back easily when you have less time to re-read or reference (at least I hope!). Agreed on Bringing up Bebe! It was a fast read and very entertaining but also full of great information. I read it when I was first pregnant because I kept hearing moms say they wished they’d read it before their child was born. I found it calmed a lot of the anxieties I had and gave me some great ideas for parenting infants and also young children. Chiming in on Bebe! Liked it a lot! This book gave me hope that maybe parenting didn’t have to mean giving up every aspect of life you know and enjoy. I’m very concerned about falling into the trap of giving up too much of myself as a parent, so I’ve been collecting some books on how not to do that in a culture that really seems to overburden women with unrealistic/unfair expectations around parenting. I personally got a lot of reading done while I was nursing! 🙂 The baby feeds for a half hour (15 minutes each side) every 2 or 3 hours, and you have that whole time to read books, watch TV, have a good conversation, play on your phone, whatever you want to do. A couple other books I would recommend are, Happy Sleep Habits Happy Child, Dr. Sears book on vaccinations, and Super Baby Foods (this one tells you exactly what to feed baby at what month, for example, they recommend avocados as the first food to give your baby). I recommend What Mothers Do, Especially When it Looks Like Nothing by Naomi Stadlen. I found it very reassuring to read that many of the things I was experiencing or feeling were common to others. It is a book about the experience of mothering rather than advice on parenting. The other book you might be interested in is Baby Led Weaning, by Gill Rapley, just in case you have a total spoon refuser! It saved my sanity when my first daughter completely refused to open her mouth for a spoon. I LOVED What Mothers Do. I’ve read SO many books out there and it was completely different, and so refreshing. Kath – I think your list is great. I’ve read or skimmed most of them and think you’re off to a great start! Basically any book which its basic premise is “respect the baby”, I’m down with! Those look like great books! I’ve gleaned info from a few books, but to be honest, raising an infant was rather instinctual, it’s the later times, when they become toddlers that I needed more help for! Bed training, potty training, helping them adjust to a new sibling, etc. However, rather than books I went to other parents, my own parents and people who have used trial and error to succeed, and that helped more than any book. Hi – You may have heard this one already, but I strongly recmomend Baby Whisperer. As with all books, take what you can and leave the rest. I never, for example, asked my baby for permission to change his diaper, per the Baby Whisper book, but it did help me see that a routine is not a bad thing. I have a 3.5 year old and a 16 month old! Before my first daughter i read ‘secrets of the baby whisperer’ and ‘happiest baby on the block.’ Both were immensely helpful. I pretty much use the baby whisperer method day in and day out, i also think the Fitnessista uses this method too! Happiest baby on the block talks a lot about how to help your baby sleep in the very beginning, i only then introduced the schedule things in ‘baby whisperer’ a few months into life when my kids weren’t just falling asleep in public all the time and getting cranky from being overtired! Womanly Art of Bfing is kinda long so i picked through it reading bits and pieces and pretty much got the jist of it i think by skimming but also i will say after bfing/pumping for 1 year for each of my girls this book helped a lot in understanding how it all works! I have heard good things about the happiest baby on the block. 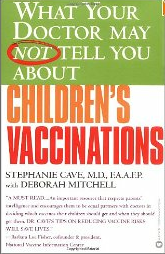 That vaccine book is in no way unbiased, informed, or “middle of the road”. One “look inside” on amazon and a google search showing an interview with the author that was riddled with misinformation was enough to tell me that. If you want to be informed, why not read something by someone with decent statistical and epidemiological training who is actually able to interpret the data? Simply being an MD does not mean you have the appropriate training. I love my kindle right now. My guy is 4 weeks old today and some of our nursing session are quite long and I find I have lots of time to read. When I highly recommend the Womanly Art of Breastfeeding. Ina May also has a breast feeding book which I found intersting. I don’t find breastfeeding hard, sometimes when cluster feeding and such it is nice to know that is normal and not cause for worry. I am also reading Wonder Weeks and How Eskimos Keep their Babies Warm. If you only read one book about sleep, it should be Healthy Sleep Habits, Happy Child by Marc Weissbluth. This was the book recommended by my family and friends who have fostered good sleep habits in their children and they were all right! My two-year-old is a well-adjusted, happy sleeper who rarely gets sick – I attribute it largely to this book (and I read them ALL). You don’t need to read The Happiest Baby on the Block, just watch the DVD. Baby of Mine is also good, but I didn’t delve too much into it until I needed to (mostly when we started solids). Good luck! I did a lot of reading when my son was very young, while I was sitting in the glider (a glider/ottoman is a necessity!!) nursing him. Since then, I haven’t done nearly as much reading…just too busy to sit and read! So yes, I strongly recommend doing as much reading as possible before your baby’s born. I loved The Womanly Art… not just for the info on nursing but all the other helpful info. I wish I’d followed this advice re: starting solids before I started with rice cereal, which totally messed up my son’s digestive system for a long time afterward. After that happened, I went back to 100% nursing and followed the advice in this book when my son was about 8 months old–restarted solids with avocado, banana, etc. (fruits and veggies). That worked much, much better than the rice cereal. That book also has wonderful recipes!! Another book that I **highly** recommend is The Baby Book by Dr. Sears. This was the first book I bought while pregnant, and it really turned me on to the ideas of attachment parenting. I referred to it so much that it literally started falling apart at the binding! This book literally saved my son’s life when he had terrible croup (and was hospitalized for 2 days) at 3 months old. Dr. Sears is so wonderful, plus he has so much experience as a doctor and parent of many children. He co-writes books with his wife, who is also extremely knowledgeable in her areas of expertise. A book I strongly do **not** recommend is the Baby Wise book. I was literally sobbing while reading this book when my son was about a month old. I told my doula about it, and she recommended that I throw the book in the trash. That’s the only book I’ve ever trashed in my life! In my experience, much of parenting is intuitive (I tend to be very intuitive/sensitive anyway, and my son is the same way). I would say it’s a combo of intuitive and learned. But I think of how mothers parented thousands of years ago, before the Internet, books, etc., and they succeeded quite well (or we wouldn’t be here today) through following their instincts. There’s a reason why that phrase “mother’s intuition” has been in existence for so long. About nursing, just to give a positive spin–even though I expected to have some problems, based on all the negative comments I heard before my son was born, we had just about no challenges with it. My son knew right away what to do, and somehow so did I. It went very smoothly, no problems with milk supply, etc. In other words, I just wanted to encourage you that it is totally possible that you’ll have very few challenges with nursing. One challenge that I didn’t realize until quit a while afterward was that my son was probably allergic to things in my diet (most likely mainly dairy and gluten), and I wish I would have known that at the time. I read your recent blog about “pins and needles” sensations, and yes, I got that all the time at the beginning of nursing sessions. You get used to it. Co-sleeping saved me especially when my son was really little…this was the only way I got some sleep. I was so sleep deprived by the time he was 2 wks old that I was getting headaches. Much easier to nurse at night, and get some sleep, when you co-sleep. I didn’t really plan to do this before my son was born–it just sort of happened out of necessity, and intuitively. With co-sleeping I also felt like he was so close to me that I could monitor him 24×7, even when I was sleeping. Speaking of sleeping–it’s interesting, after you have a baby, you find that you’re able to be “on alert” and aware of your baby and your surroundings, even when you’re sleeping. I can’t really describe it–you’ll understand what I mean once you experience it. Even if you used to be the deepest sleeper ever (I was) you are able to wake up instantly when needed, once you become a mother. It’s pretty cool in a way, that mothers’ bodies are designed this way. Here’s another tip–be prepared to eat a LOT (and drink a ton of water–you get super thirsty while nursing) when nursing. My appetite was absolutely huge–way, way bigger than it was while pregnant. I would say I ate double what I eat nornally, so have a lot of food on hand! One of my friends says “food never tastes as good as it does when you’re nursing”–haha, it’s so true. Other friends would be stunned at how much I could eat, yet still eat more. You’ll see what I mean! 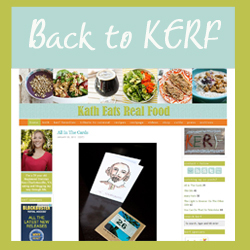 I cooked many meals and had various foods on hand before my due date so that I didn’t have to grocery shop till my son was about 6 wks old–this was another life saver! When my son was a couple weeks old, he gained more than a pound in 1 week!! I also lost the baby weight (only about 25 lbs.) really quickly, thanks to nursing. At my 1-week postpartum appointment, the jaw of the lady at the front desk literally dropped–all she could say was “look at you!” repeatedly because she couldn’t believe how quickly the weight had dropped off, and how I almost looked like I did prepregnancy. I attribute this mainly to nursing. I was in my prepregnancy jeans at about 2 months postpartum. Are you doing prenatal massage? I did that numerous times (with someone who specialized in prenatal massage), and it was really wonderful and therapeutic for various symptoms, especially as my due date approached. Congrats, and have fun…what you have to look forward to is just the most miraculous thing ever. Especially those very early days after your baby is born are so, so magical and really can’t be put into words…you just have to experience it for yourself to understand what it’s like. It’s like all the Christmases, birthdays, and other special occasions in your life combined. Be sure to have a “babymoon”–the time when you rest, bond, nest, cuddle, lay low, etc. in the weeks after your baby arrives. Being a mother really has changed me, in many good ways…it’s such an adventure, and I never could have predicted all the changes that I’ve experienced. I find that as a parent, I learn and grow as a person just as much as my son does. I’ve also been sort of re-experiencing my own childhood as my son grows up. I never knew any of that would happen, but evidently it’s rather common for that to happen. Wow, what a beautiful post, Judy. Thank you for sharing. I read Dr. Sears’ The Birth Book, which I found very helpful in terms of what might happen in labour and delivery. The only baby book I had was What To Expect The First Year. I only used it to see if my child was more or less hitting developmental milestones and for the appendix at the back that had signs and symptoms of different childhood illnesses. Everything else was pretty much by intuition. A book that is great on the topic of breastfeeding is Breastfeeding made Simple. It was on my required reading list for being a doula. I found it informative and also an easy read. I recommended it to a friend who recently had a baby, and she said that it was the best book she read in preparation for breastfeeding. She refered back to it many times during those first weeks. I personally find the Womanly art of Breastfeeding, more of a reference book. I also quite liked the No-Cry Sleep Solution. I didn’t get that book until my daughter was a bit older, maybe 1 1/2. I found the information really good and it provided some common sense ideas that can help sleep. I found it a good reference book and would go back to it many times. As far as vaccinations, do some research and then make the decision that you are comfortable with for your child. I know some people who delay not for the risk of autism, but because the baby’s immune system is not fully developed and they want the child to develop their own natural immunity first. I went to a talk on vaccines when I was pregnant with my daugther, and a nutritionist at the talk made an interesting comment. 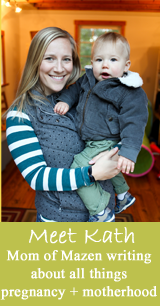 She said she would not vaccinate until her baby was older, and taking probiotics and that she knew that the baby had a very healthy gut since a healthy gut is a link to good immunity. Don’t overload on too much information. Trust your gut when it comes to your baby. You will figure it all out. Babies cry. They sleep all day and stay up all night. They will poop on you, vomit on you and they will get sick. They will be happy one minute and be cranky the next. But that’s what they do. Just focus on loving and enjoying your baby. Everything will fall into place. I couldn’t agree more. It is important to trust your gut and your instincts when it comes to your baby. You will get SO much advice from a million different sources (books, friends, google) but it’s important to remember that you know your baby the best. I have a seven month old and I wish that I hadn’t spent so much time stressing about what I “should” be doing. I think that both my baby and I were much happier when I started listening to him rather than the author of a book. i would say the best thing is to not read too much. and don’t take what every mom says as what you should be doing or what your baby should be doing. you will go crazy! the one book i’m glad i read, though, is the baby whisperer solves all your problems. i just wish i had read it earlier. Here is another vote for “healthy sleep habits, happy child”. So informative. I wish I would have read it sooner with our first child. I like schedules and “rules” and the book talks about reading their sleepy cues and how long to expect for them to be awake between naps. It really helped me get him on a schedule. It really helped me realize that my daughter really could not be a awake for more than an hour and a half before I had to start the 5 S’s to get her back down for her 20 minute nap. I have dug it back up at every major sleep change (3 to 3 naps, 2 to 1 nap, no naps, night waking etc.) it has always been helpful. I was a major “I will never let my baby cry it out” person, then at 10 months I could no longer take it, so we followed the Sleep Easy Solution. I think if I were to do it again I would do a lot more of letting her self soothe from the start. I wouldn’t bother with the sleep books until you are actually dealing with sleep problems. Then you can just flip to the relevant chapter and read it. I actually wish that I had had access to (it wasn’t written yet) the chapter on sleep in the recent memoir “Bringing up Bebe.” It has a very interesting chapter about how the French sort of intuitively train their babies to sleep through the night. I’d get it from the library and just read that chapter if I were you. I found that most of the sleep training books (including Pantley) did not work for us, and we just had to find our own way. I read a (different) breastfeeding book before my baby was born, and afterwards I realized it was like trying to learn how to ride a bike by reading a book about it. I recommend instead that you have a lactation consultant on standby — someone who can come to the house as soon as you get home for a consultation, if you need it (I did). Then you can look at the book for specifics if you need to. I took a hypnobirthing class and read a book on it. I think Bradley is probably pretty similar. Hypnobirthing emphasizes meditating and doing guided meditations every day. I think it helped me a ton in terms of going into childbirth with a relaxed attitude. So did Ina May! Glad you read that one. Just watch the Happiest Baby DVD — you don’t need to read the book. 🙂 The DVD is very helpful. I second what someone said about watching the Frontline DVD about vaccines. I personally feel it tells you everything you need to know. I actually do think that parenting and breastfeeding is totally instinctive BUT…we have been so far removed from listening to our instincts that we have to re-learn it. When it comes to breastfeeding–the problem really is that we haven’t grown up surrounded by it as the norm and seeing it done all the time like in other cultures. In other cultures, women grow up seeing their mothers, sisters, cousins, neighbors etc…nurse and that’s how we learn (same with childbirth where kids grow up seeing normal, natural birth often). I’d find one really good, thorough baby book that feels like it meshes with your feelings and parenting style and stick with that one (I highly recommend Dr Sears “Baby Book” for its thoroughness from birth-age 2). I think that parenting has a steep learning curve – it is almost all learned at first – but then becomes intuitive. With my first kid, I read many many books and at first referred back to a book or google for every little thing. Then as time when on and with my 2nd kid, I never looked at a book unless there are some sickness or sleep issue I hadn’t dealt with before. Also, each child is unique and different. Cry it out works for some but no cry works for others. My daughter loved a strict schedule (eat, play, sleep), and slept like an angel after a quick cry it out sleep training. She nursed wonderfully, but didn’t want to co sleep even if we begged her. My son never kept a schedule well, was not a big fan of nursing, cry it out never worked for him, and always co sleeps when he is sick or can’t go back to sleep. Neither of my kids wanted to be in a sling or carrier, and I bought tons of different kinds. I was not 100% attachment parenting, and not 100% strict scheduling either. I had to adapt to what worked for each of my kids. I would recommend the 411 books (baby and toddler) – they are very easy reads and down to earth. I would also recommend Ferber’s book, even if you don’t plan to use cry it out methods. I think that book has the best explanation of sleep patterns from child to adult (better than Healthy Sleep Habits, Healthy Child), and there is really only a short chapter on cry it out. The rest is all about sleep from birth to adolesence, and all the problems that can occur along the way. For example, it has a whole chapter on night terrors and nightmares, which happen when more in toddler/preschool years. Also, if your kid wakes early or has a period of wakefulness in the middle of the night, this addresses how to shift sleep schedules. Very helpful and I have not found this info in other books. I listened to that podcast you mentioned about how much sleep a baby needs when our daughter was about 5 months old and I think it is dead on. If there is anything I am a bit particular about it is my baby’s sleep habits. I think it is really important to help our babies get a lot of sleep and just because a baby is tired does not mean they will necessarily sleep. Our daughter is 8 months and I am constantly told how happy and content she is and I fully believe it’s because we are constantly protecting her sleep habits. I didn’t read the book, but I bet it is full of great information! Hey Koops, Just saw the above thread on immunizations and wanted to put in my two cents. First of all when you’re thinking about spacing vaccinations, I wouldn’t wait too long. I learned when I was in nursing school that Daniel (my 1 yr. old brother) actually died of an infection that we can now treat with a vaccine, but at the time you had to wait until you were 2 to be vaccinated. So there are benefits to being proactive. Also, I don’t know when the book you are reading is published, but there was one MD in particular that did a lot of “research” about the link between immunizations and autism. In the last couple of years it was discovered that his research was completely bogus. I forget the details, he used a really small sample of family friends, and I think there were bribes involved. His license was taken away from him after that was uncovered. Obviously, it’s you and your baby and you’ll come to the decision that works right for you all, but I just wanted to give you more information to make the decision. Great books – I’m at 28 weeks and have read some of these myself. 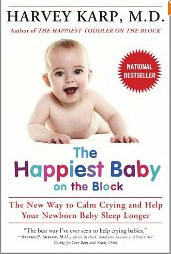 I just watched the Happiest Baby on the Block DVD and thought you might appreciate it more than the book if readings a chore. Also, for the partner, there’s Bradley’s “Husband-coached Childbirth.” It’s a pretty quick and entertaining read. My husband read it, and I think it gave him a great perspective on the whole process and his (oh-so-important) role in it. Anyhoo, thanks for the bog and all the best! I watched the DVD too – it was good!